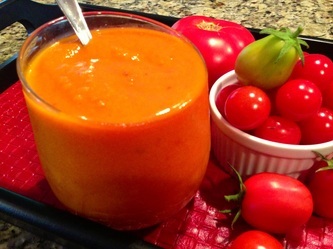 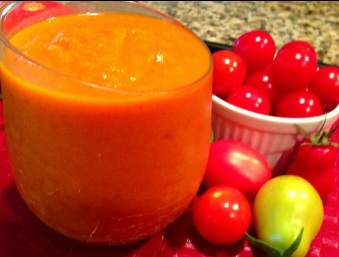 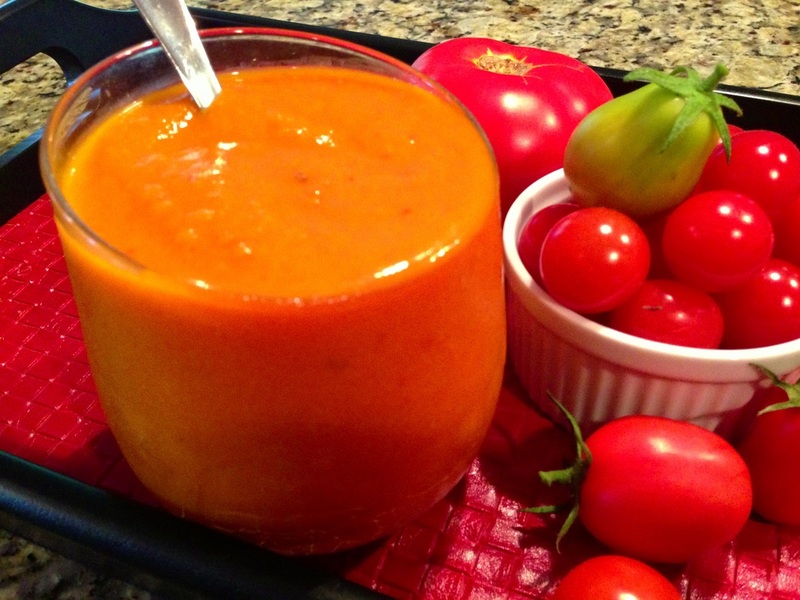 I was in my vegetable garden picking tomatoes when this soup idea came to mind. 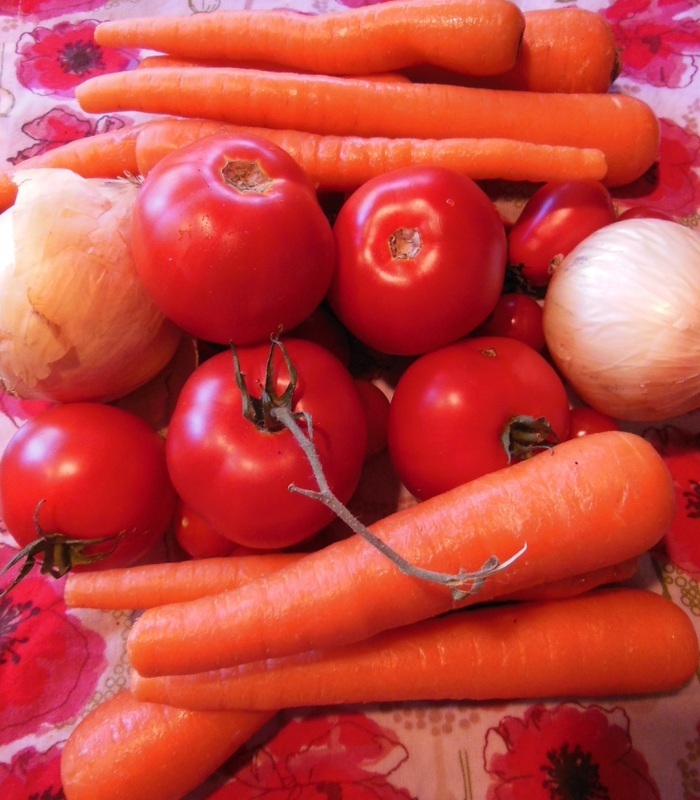 Why not make a soup with curry, tomato and one more ingredient and carrots came to mind. 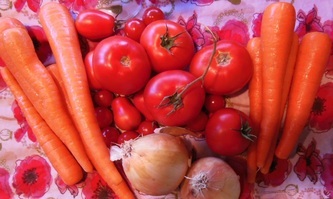 I love having a garden with beautiful tomatoes, it really inspires me to create new soups. The color of this soup came out amazing, so full of summer and garden goodness. 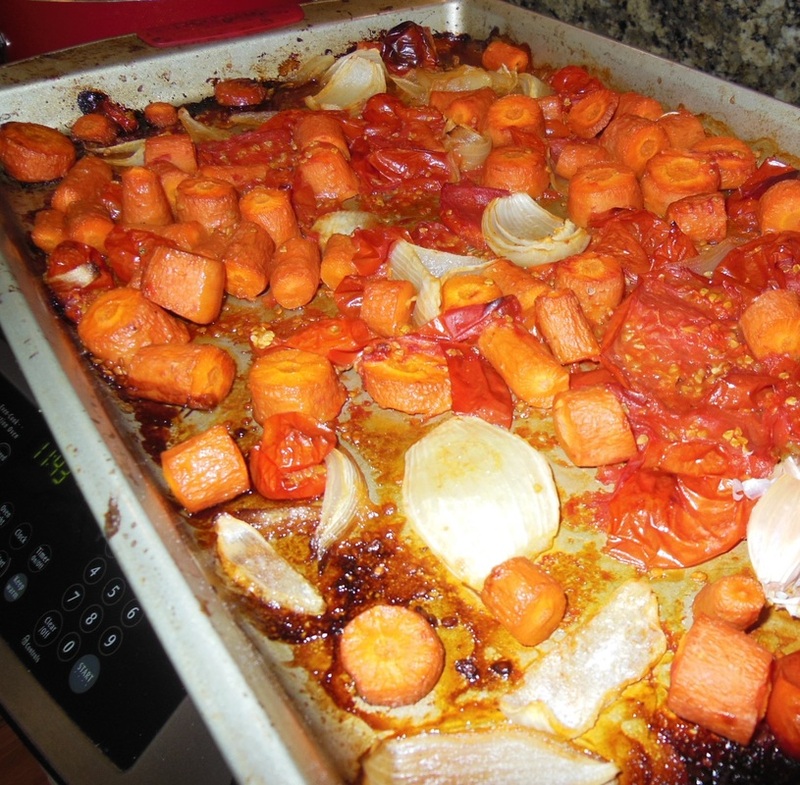 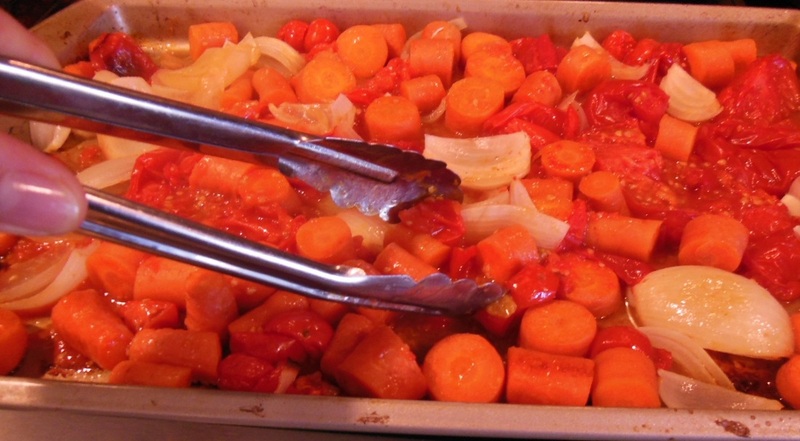 Preheat oven to 400^ Peel or scrub carrots and cut into 1 inch chunks. 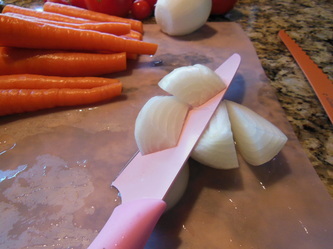 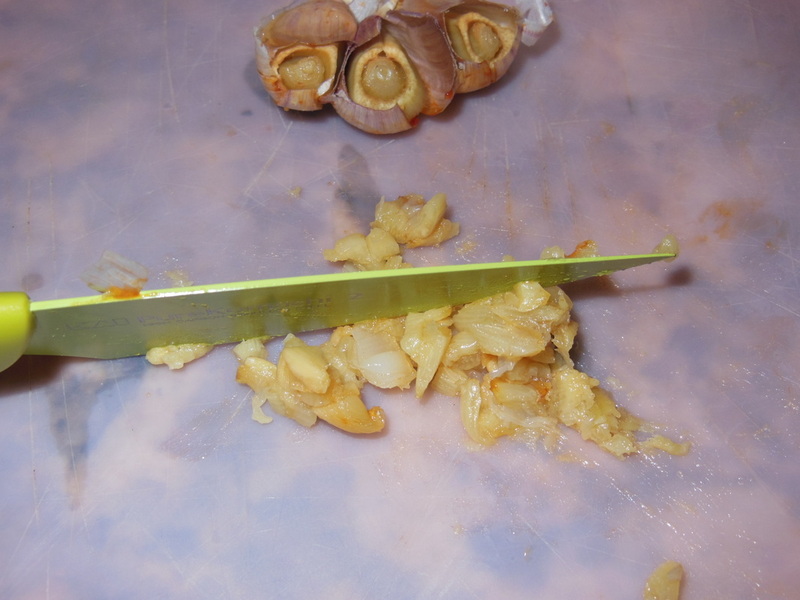 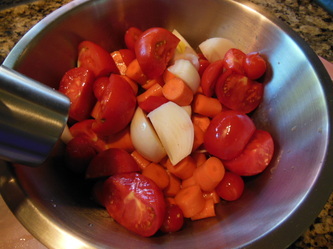 Peel and quarter onions and cut tomatoes in half. Put all three ingredients in a large bowl and lightly sprinkle with olive oil and sea salt. Gently toss with your hands and lay on large sheet pan or roasting pan. 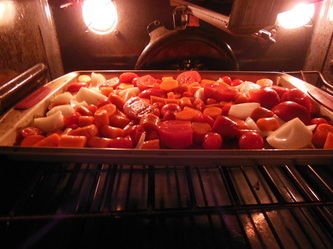 Roast 30-40 minutes turning once. 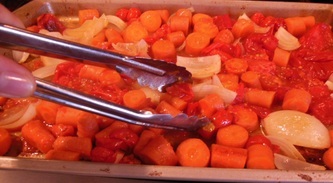 Vegetables will get brown and tender. 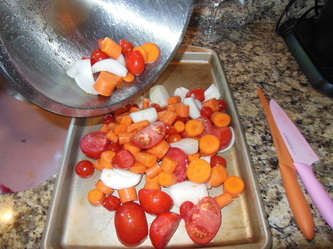 When you see them turning brown I want you to think...Flavor! 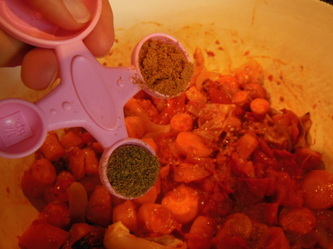 Using a stick blender or put batches in blender and blend until smooth. 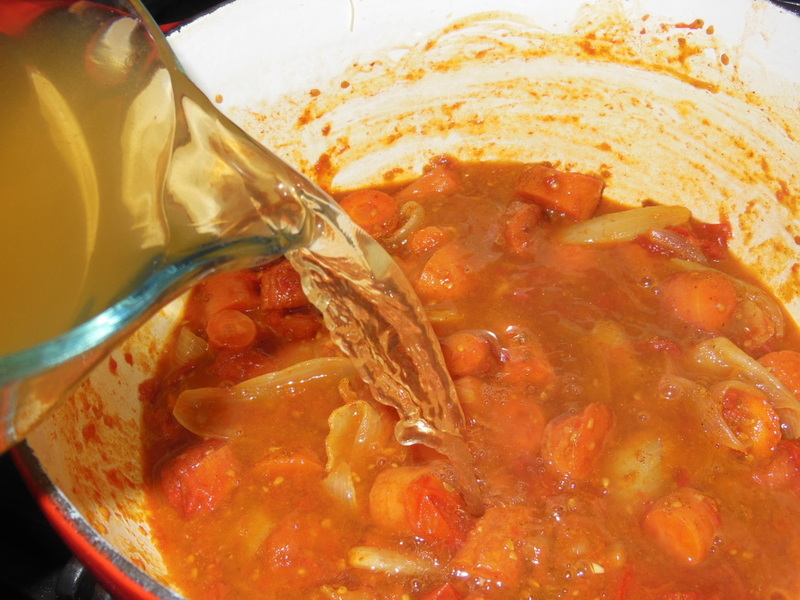 If your soup looks to thick then add more broth until desired thickness. 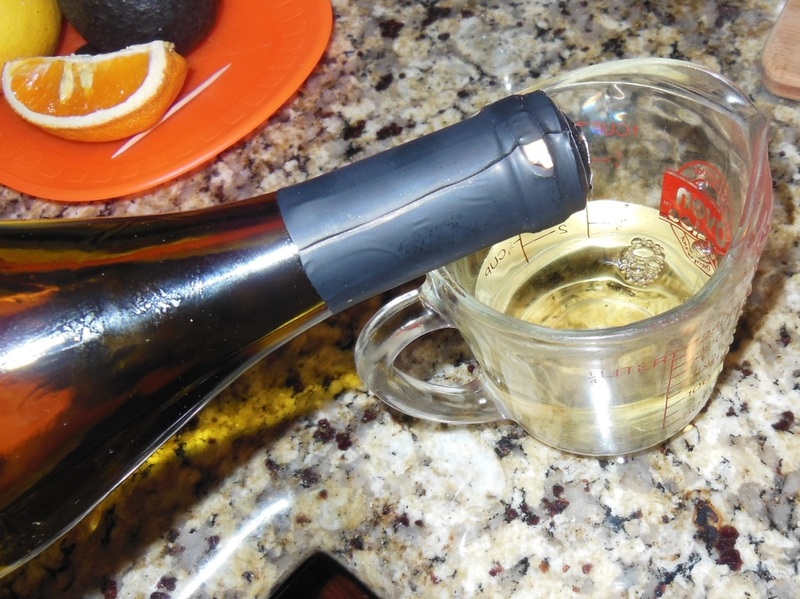 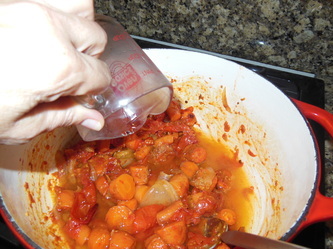 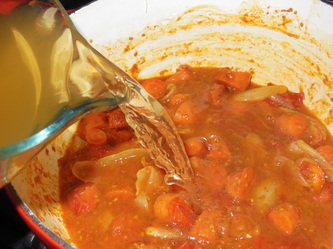 Heat soup and taste and adjust spices including adding 1/2 teaspoon at a time of honey until desired sweetness. 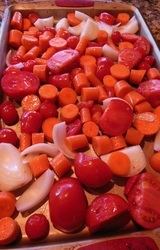 Serve warm with a dollop of light sour cream, creme fresh or plain yogurt. Of course this is optional if you are vegan or don't like dairy. 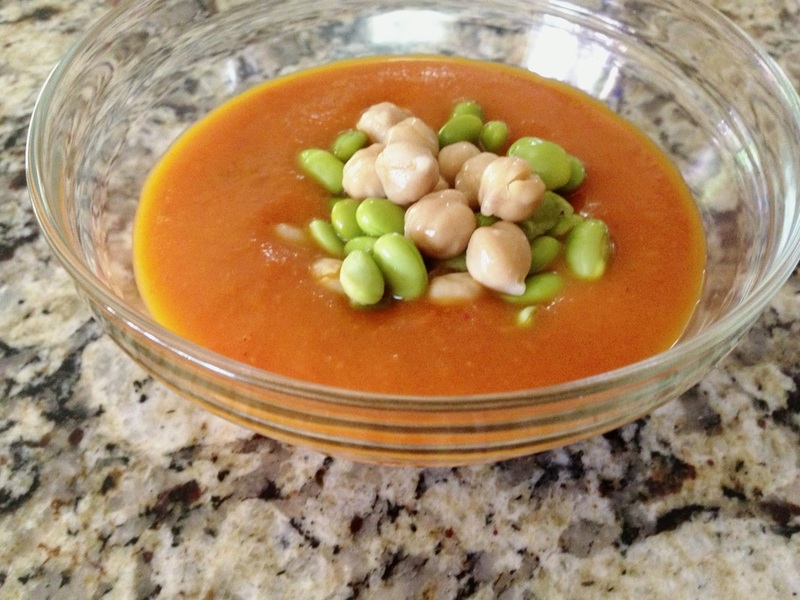 This soup would be delicious with 1/2 cup of chick peas and/ or edamame added in. You could add this in when heating through at the last step. 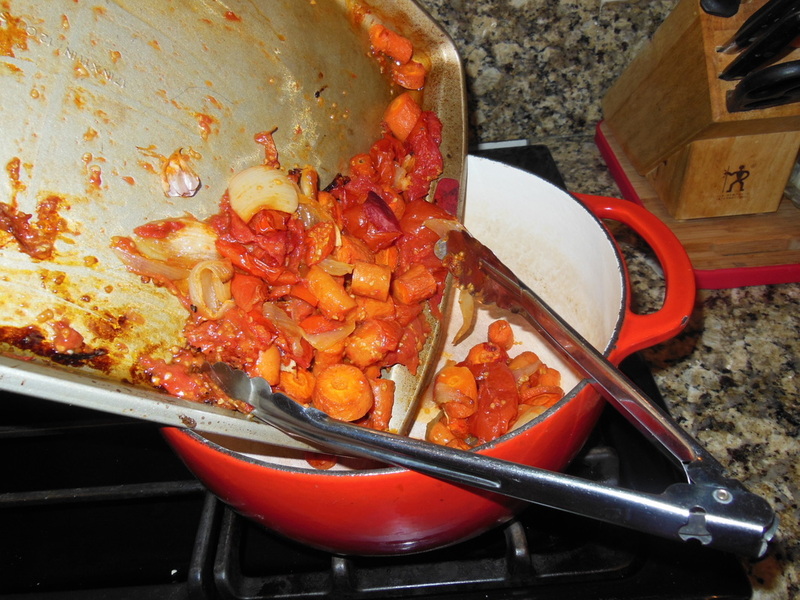 I included both in a left over portion and it was quite good. 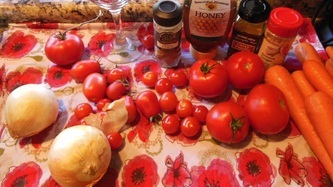 If you are like me, you love summer tomatoes. Because of this I will continue to bring you new tomato soup ideas.